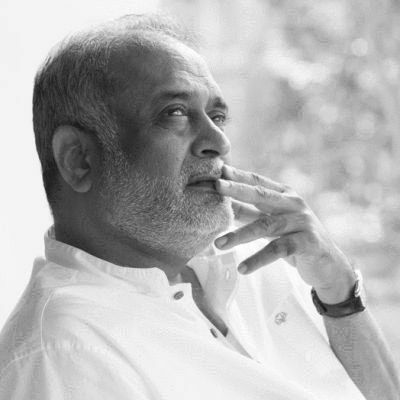 A few days back, we were having a conversation at the Heartfulness Meditation Center in New Jersey, USA, about the significance of various rituals and customs that have been observed in society since time immemorial. Many of these rituals are followed with rigor and discipline, which is a good thing. What makes them more joyful and impactful, though, is knowing the true significance of the principles behind them. Our conversation touched upon various topics, like the reasons for adorning the red pigment, sindoor, as a dot on the forehead of married women in India, praying before eating, and fasting on special occasions. I would like to share with your some of my thoughts on the concept of fasting. So many traditional rituals are disappearing from modern civilization, but fortunately something is still preserved amongst the innocent people in villages. They may not understand the significance of these rituals, but they have maintained their observance. Among so-called educated people, we have issues when someone asks us why we are doing what we are doing. As a result, when we have no justifiable explanation, we avoid observing rituals for fear of being looked upon as old-fashioned or without real understanding. We need to study and try to find the significance behind most rituals. Let’s start with the significance of Ekadashi in the Indian culture. Many people observe a fast on Ekadashi days. It is a widely prevalent ritual, but not deeply understood. Ekadashi is a Sanskrit word for the number 11. It stands for the 11th day of each half of the month in the lunar calendar. So there are two Ekadashi days in each month: one is in the first half of the month when the moon is waxing, and the second is when the moon is waning. These days have a very special significance for health, and the practice has been connected with religion for the sole purpose of health and well-being. Had it not been associated with religion, common people would not have followed such dictums. It is good to moderate the intake of food on these days so as to counter the impact of the lunar system on the human body, as our body is 60-70 percent water. You can see the impact of the moon on the water in the oceans. It is significant. 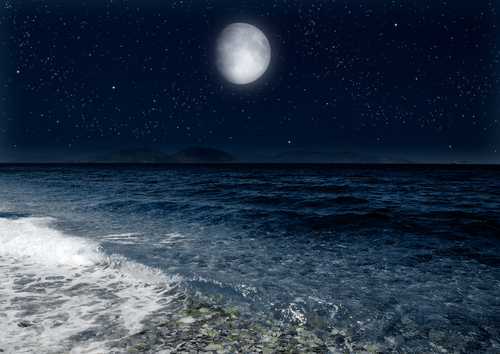 On full moon nights there can be tides rising up to 20 or even 30 feet. Similarly, this has an impact on the human system also. Especially during the full moon, records show criminal activity is greater than usual on these days. The term ‘lunatic’ actually comes from the lunar effect on the human nervous system. Our Elders must have observed this. From the 8th day of the lunar cycle, the effect starts rising and reaches its peak on the 15th day. Midway between these two is the 11th day, Ekadashi. If we moderate our intake on that day, we can neutralize the lunar impact on our system. Closer to home, the great Masters of Sahaj Marg have suggested fasting on certain special occasions. One such occasion is the day when a trainer is given permission to start imparting training to others. You may ask why trainers are asked to fast on the day they are given permission to work? In Sahaj Marg, the special preparation for training a candidate goes on for days, perhaps even years, before the work is complete. On the day when permission is granted, qualitatively the trainer becomes a spiritual conduit of the divine Transmission, and, on this day, most of the yogic chakras  of such a person are purified and brought to some sort of opening or blooming. These chakras are also divinely charged, enabling the trainer to become a conduit for the spiritual work. When this happens, the divine charge remains very active for the next few days. This divine charge is so subtle compared to the energy that we derive from solid food that, if we were to eat, the grosser energy from the food would naturally displace the subtle divine charge. On this day, the idea is to tune in, receive and allow the charge to be completely absorbed. Hence it is recommended to fast on this day. I hope you can appreciate the importance of moderation in food on such an important day. Earlier this week, I was reading about the fascinating work done by Dr Yoshinori Ohsumi on autophagy, for which he was awarded the Nobel Prize for medicine this year. Thanks to Dr Ohsumi and others following in his footsteps, we now know that autophagy controls important physiological functions where cellular components need to be degraded and recycled. Autophagy means to ‘self eat’, and is the process by which the body eats its own damaged cells and unused proteins. After an infection, autophagy can eliminate those cells infected by invading intracellular bacteria and viruses. (Read more) Now, interestingly, in Ayurveda there is a saying, “Starve a cold.” I believe the ancients observed these correlations across a physical, emotional and mental spectrum. The above examples about Ekadashi and the preparatory work of a trainer in Sahaj Marg illustrate that autophagy may have a role to play also in our emotional and mental well-being, beyond just the physical body. I look forward to further pioneering work by scientists to validate the new frontiers in this field of research. Send me your thoughts on this topic at daaji@heartfulness.org and I look forward to engaging with you all in a dialogue to go deeper into the subject. Most people have heard of chakras or points, which can be described as centres of concentrated divine energy located at different places within the human system. Commonly it is understood that there are seven chakras from the base of the spine to the crown chakra, but the reality is more intricate and vast than that. Associated with each of the points are subpoints, and in the intervening space between the points is a network interwoven by numerous intricate fibres. As we proceed along, we pass through these intervening layers. All this together forms a network that can be described as the spiritual anatomy of a human being.